This cool tin lunch box is perfect for any student, teacher or fan of the guitar. 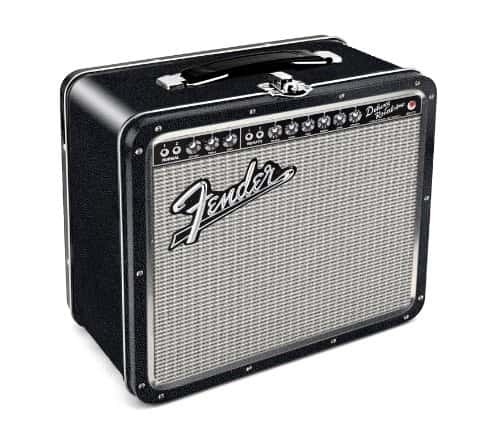 The Fender Amp Lunch Box is a fanastic novelty item that is useful as well. It is not only useful for it's intended purpose as a lunch box but is also cool storage idea. A great place to keep music related items such as guitar picks, portable speakers or headphones. This is an officially licensed product so it also makes a very cool collectable item or gift. If you think this is cool you might also like to check out the following artices.